It is a hike in, but worth every step. I had seen pictures of the entrance and I thought with something that big how could we miss it. We did, twice. I was going to be counting on your reverence for ancient things and that you a crazy photographer, not an a**hat vandal. 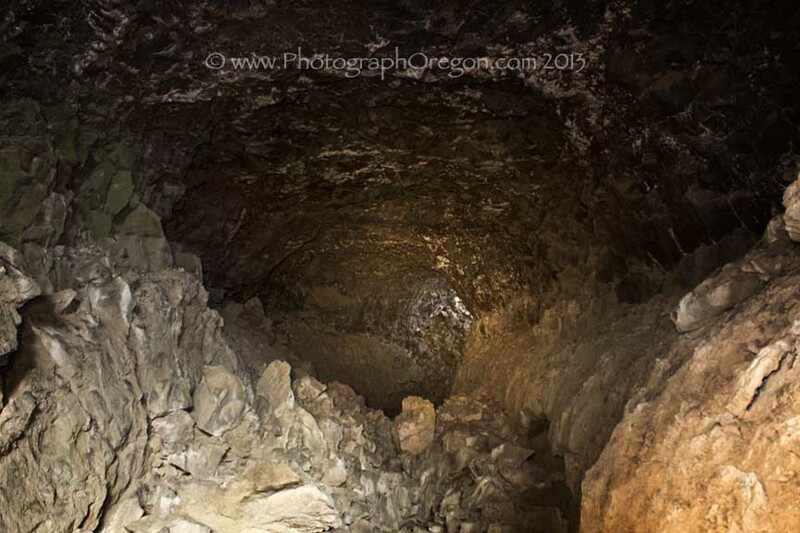 (Which is why the BLM and the great cavers are secretive and in which case I hope you fall in a crack, get stuck and bats eat you alive....S-L-O-W-L-Y.) 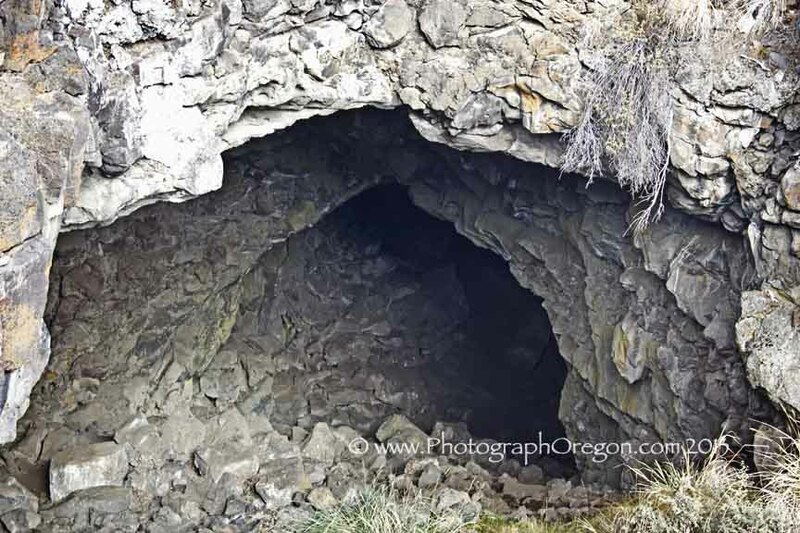 but I realized this is what the Federal Cave Protection Act of 1988 would likely consider a sensitive cave, so, if after wandering around out there in bright unnatural colors so as not to be mistaken for a deer in hunting season, you still can't find, it consider contacting me. 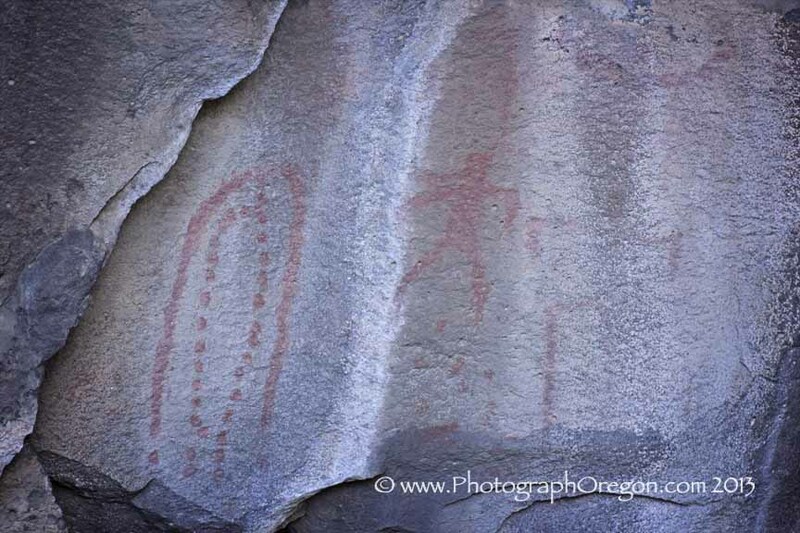 The History of The Pictograph Cave. 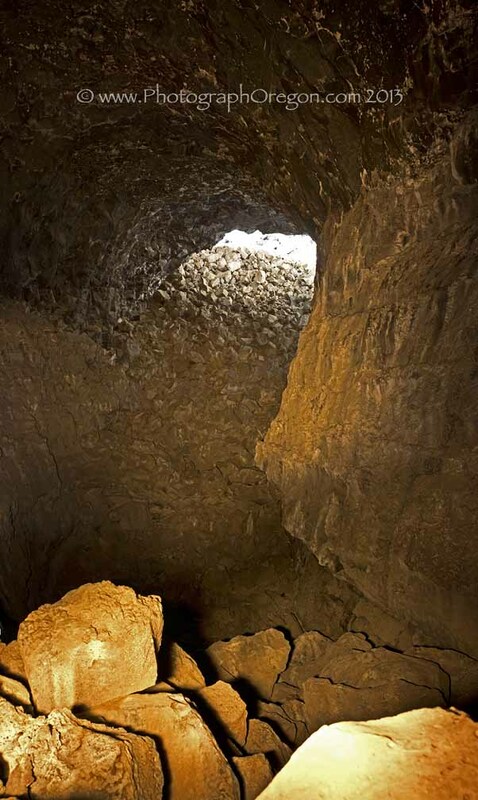 The cave was discovered by two men in 1957. One of the men was named Stout and so it held that name for a while. At that time it also housed an complete ancient rusty moonshine still. It's present name, is of course, because of the nice presentation of ancient rock art. This is what it looks like to the naked eye. Here it is enhanced to better see the paintings. 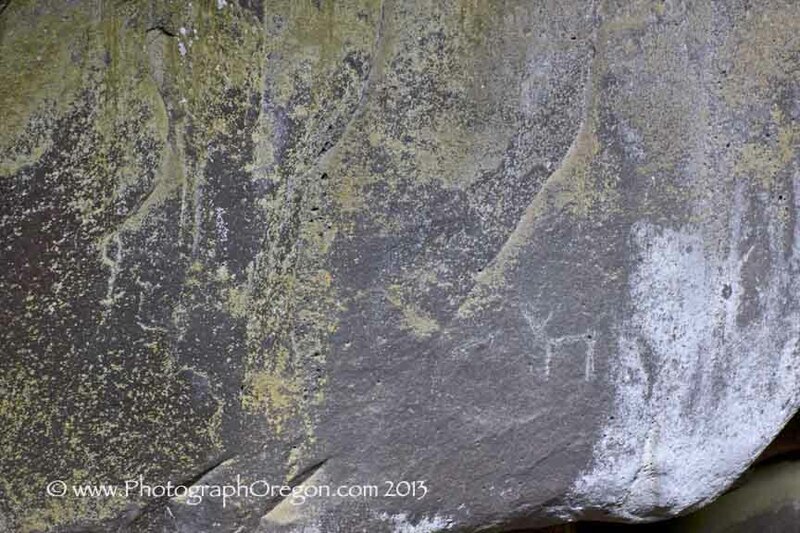 The some petroglyphs in southeastern Oregon have been dated back to 12,000- years. I think that no one knows how old the paintings in this cave are but thousands of years may not be off the mark, so please do not touch them, throw water on them etc.! 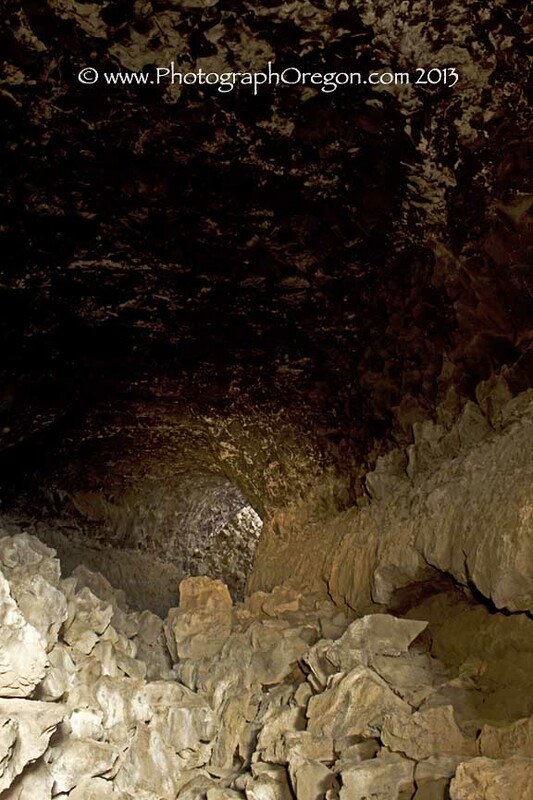 As always maintain proper caving precautions. This cave is a little more strenuous than some of the others I have shown you. I cannot stress enough DO NOT CAVE ALONE. Also, one of the more important things I have learned is to take to heart the admonition to know your limitations. Some caves require a lot more energy than you think they will. In Pictograph Cave I got tired fast trying to scramble over the rocks. I opted for a second trip at some point, rather than get myself in trouble. The way down at the Pictograph Cave main entrance is a little dicey. With two people equipment can be passed down so hands are free. 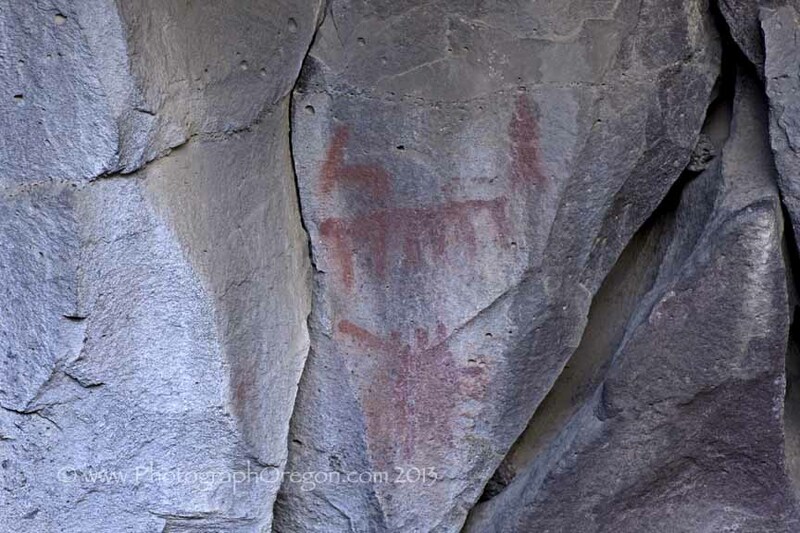 Once you get in the main entrance the best pictographs are pretty much right in front of you. The longer you sit, the more you see. 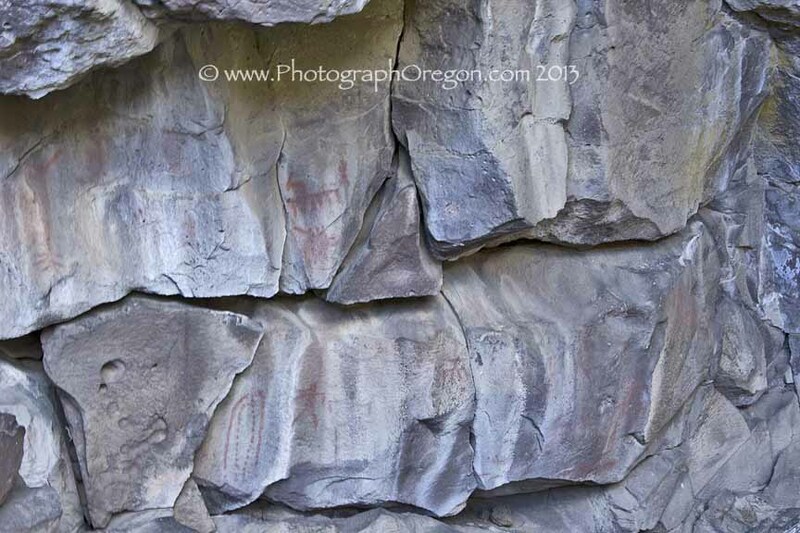 I spotted a few petroglyphs, but I have the feeling that they are more modern in nature. As you are facing the painting wall, off to the right is a tunnel that is around 1000 ft long. We did not go in to that one. We went in this one on the left. Off to the left, is the cavern that connects with the skylight hole. 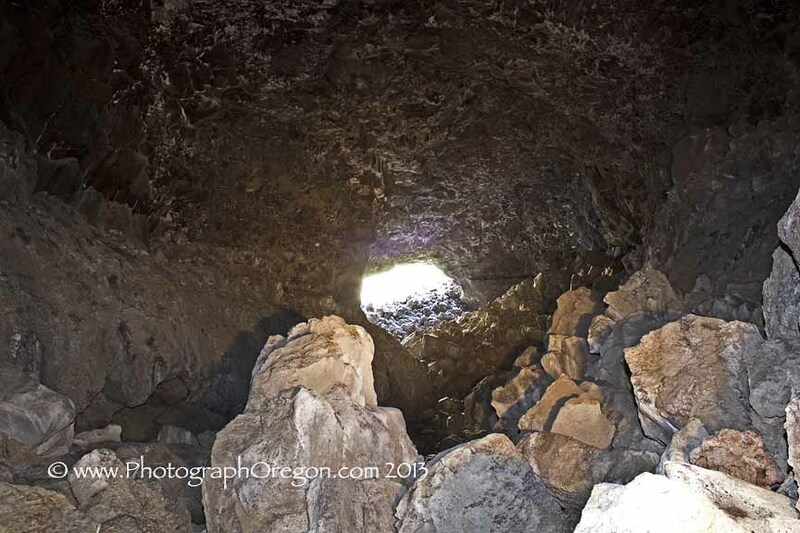 When you first go in you can see a small amount of light at the other end. Very small. This cavern is pretty stunning. It is very large and has high ceilings. The best way to get there is along that right hand wall. That big pointy rock there will leave a mark if you hit it, trust me there. Eventually you get to a place where you have to scramble down in to a big pit and then up to the other opening. We stopped at the top and did our pictures as there is no really way out on the skylight side, what goes down, must come up (and back the way it came in.) Since the photo opps there were nice, and just getting in there was tiring, that was where we made our stand. 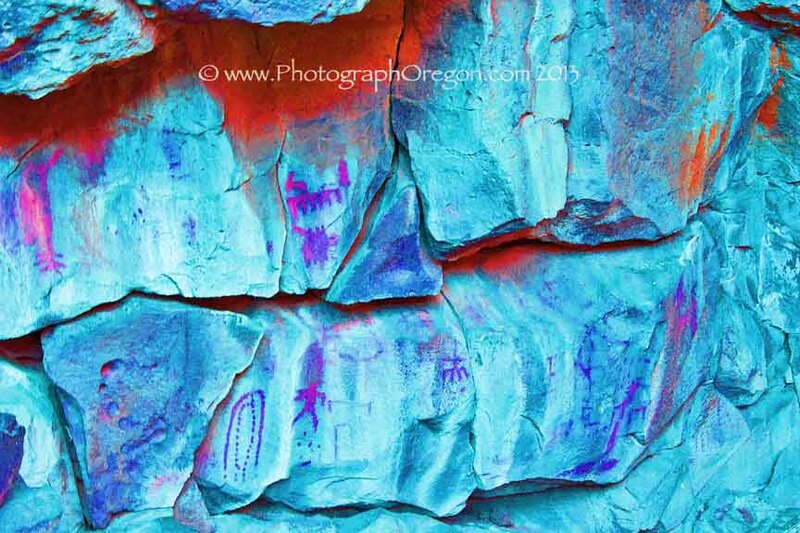 This is 5 panel vertical panorama of the interior of Pictograph Cave with light painting. 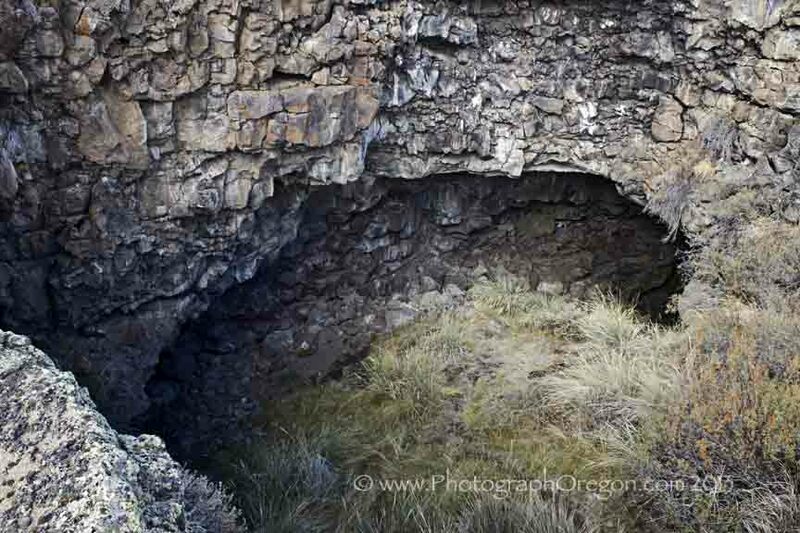 It still does not show the size of the cavern (approx 40ft x 45 ft) or depth of the pit very well. Coming back out is also a nice photo journey. Unlike many of the caves I've listed so far, at Pictograph Cave there's not really much in the way of flat or sandy floors here. 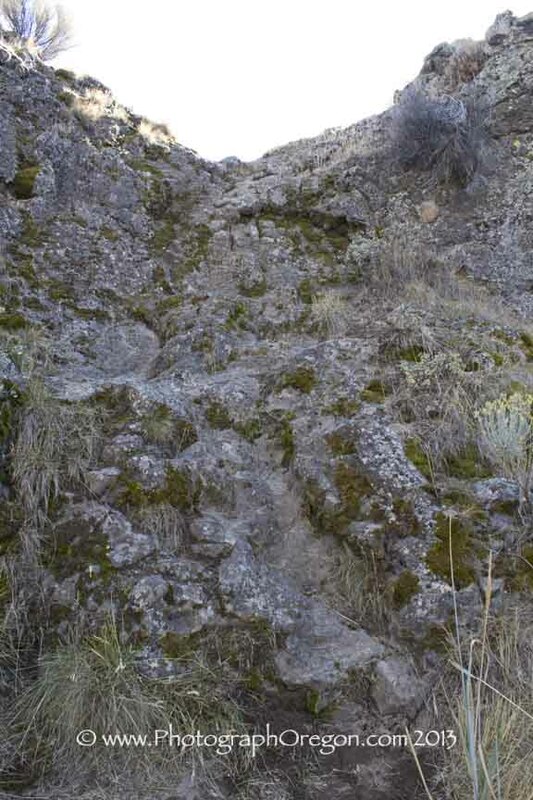 You are traversing over rocks that are not always stable so be very sure of your foot placement. Some rocks are over pretty deep holes. If you fall in you're going to be stuck! If you drop a lens cap or a flashlight, consider it gone. Just being able to sit inside and marvel at the wonder of it all makes it worth it.